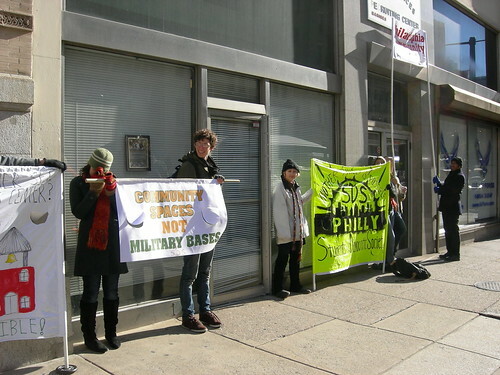 Philly SDS transforms Army Recruitment Center into Community Center! 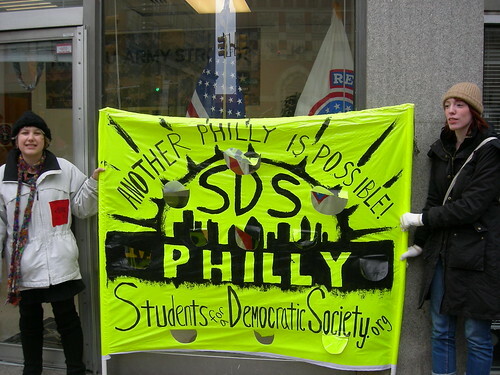 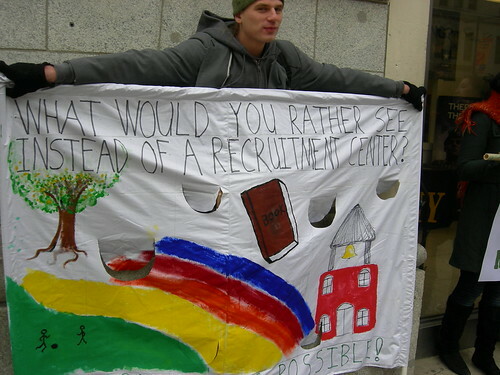 On December 3rd 2007, the Philadelphia chapter of Students for a Democratic Society (SDS) transformed the recruitment offices of 125 N. Broad St. into a functioning community center. 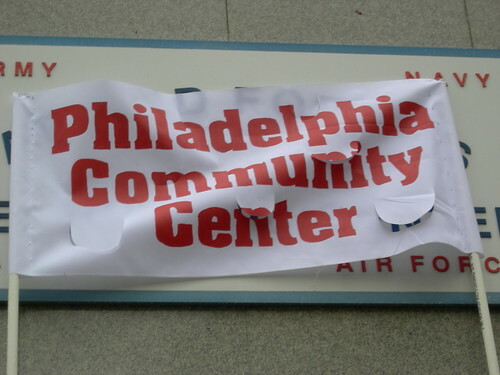 Dozens of local students built an interactive art exhibit in front of the recruitment station, raising a banner over the recruitment office that read “Philadelphia People’s Community Center”. 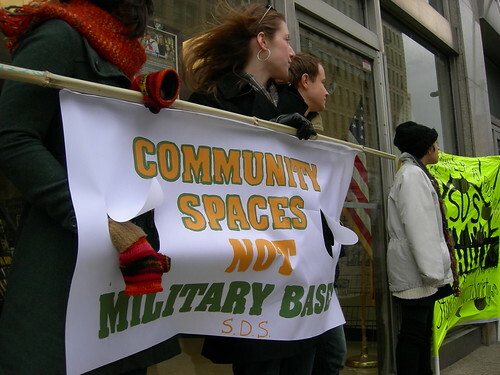 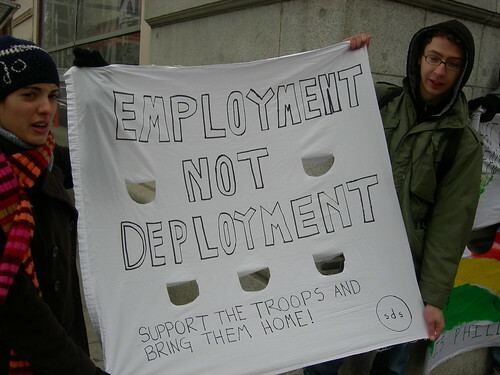 The students cheered “Replace this base with community space!” and passed out leaflets with career alternatives to military recruitment.